Mrs. Dian A. Carter has been the principal at Saint Ambrose School for the past nine years. She is a BMHS parent who has served on a committee of our board and has served as an active parent volunteers and ambassador various organizations around our school. Mrs. Carter earned her BA in English Education from the University of Maryland, College Park and her Master’s in Supervision and Administration from Bowie State University. Prior to beginning her tenure as a Catholic educator, she worked as a high school educator teaching English and served in various roles in Prince George’s and Montgomery Counties. 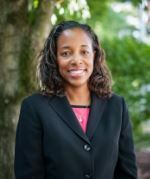 She began her career as an administrator at Bethesda-Chevy Chase High School in Bethesda, MD as an Assistant Principal and prior to leaving Montgomery County Public Schools, she also served as a Vertical Articulation Specialist, Test Coordinator, and Assistant Principal at Wheaton High School in Wheaton, MD. Mrs. Carter comes to the Bishop McNamara Community with a vast array of experiences and as she begins her twenty-fifth year as an educator, she is excited to join our team! Mrs. Carter is an administrator that possesses high standards and expectations of student conduct. She is committed to fostering a culture of respect among students, faculty and staff. She is the parent of an alum and has another student who is currently enrolled. She is dedicated and enthusiastic to support the teachers and students in every way possible and is excited to join us as our school’s next assistant principal.